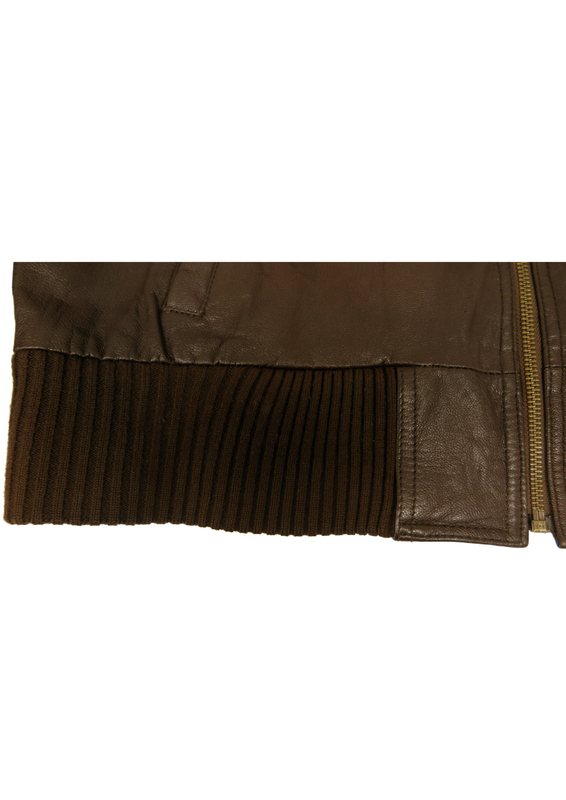 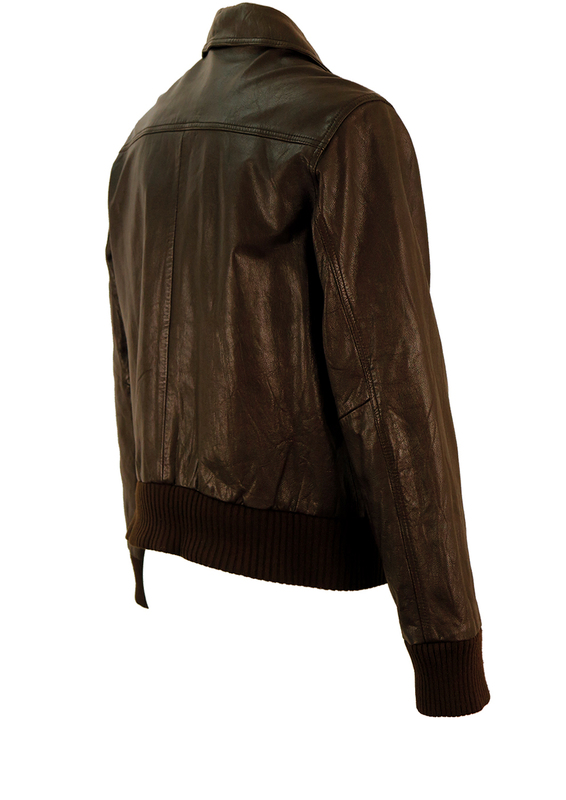 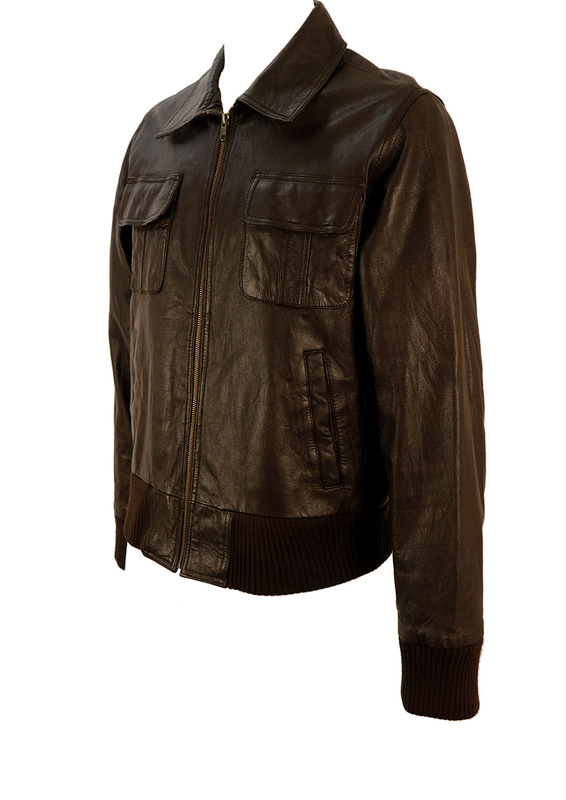 Brown leather zip front bomber jacket with flap and asymmetric seam pockets at the front. 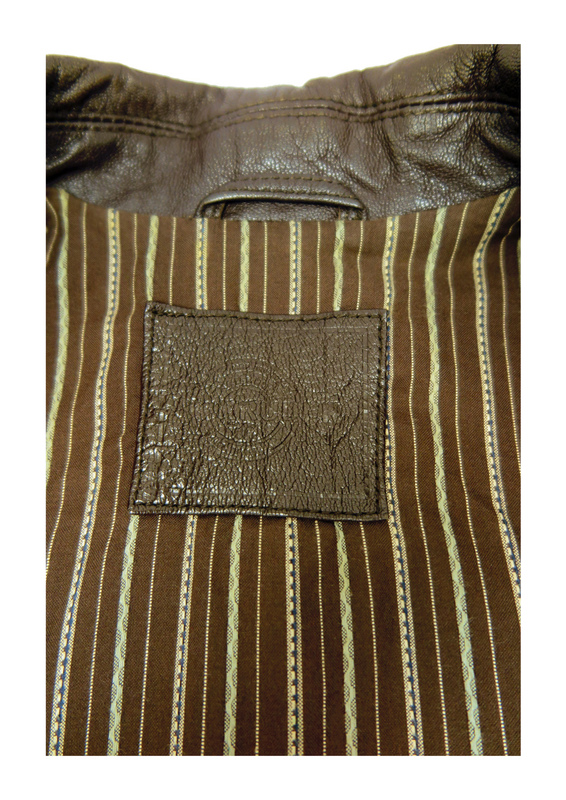 The jacket is fully lined in a brown and cream striped pattern and has a classic ribbed knit hemline and cuffs. 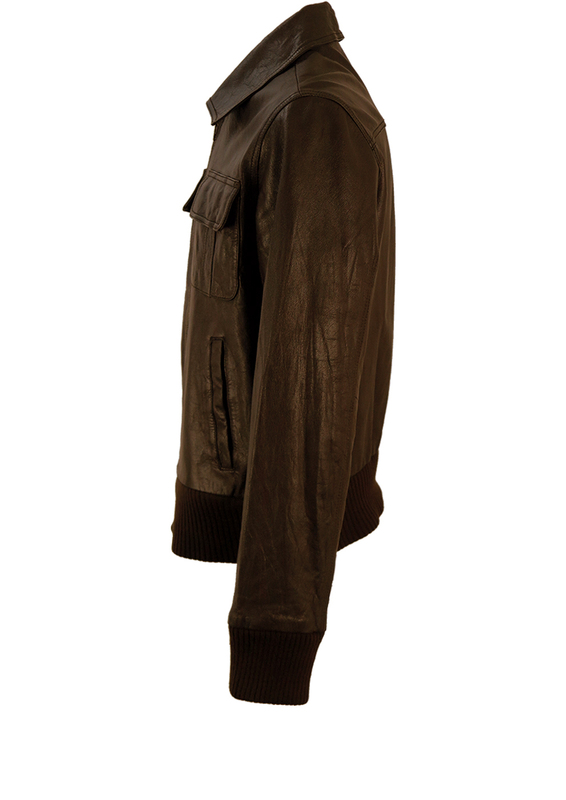 Please note the hemline is a little stretched at the front and we have therefore reduced the price fron £60 – £50 to allow for this. The sizing label states a size M which we feel would make for a relatively oversized style. 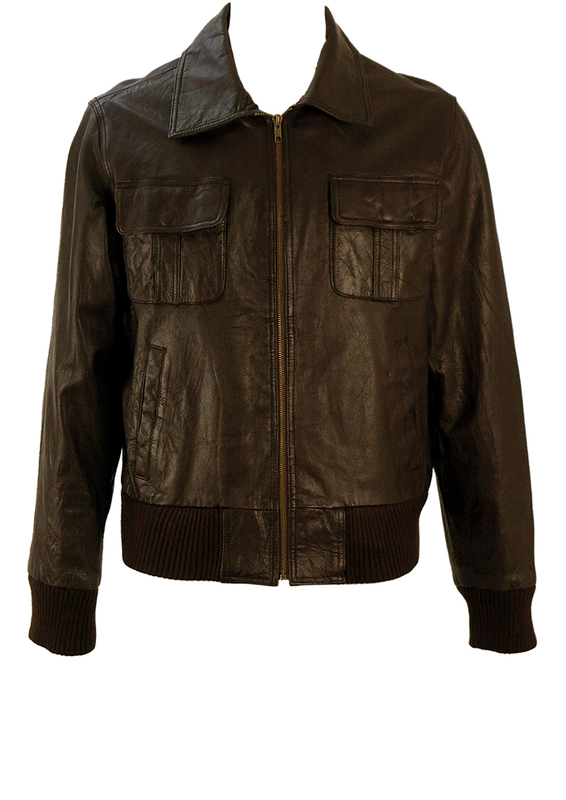 We therefore also think that the jacket is a possible size L for a more fitted cut. 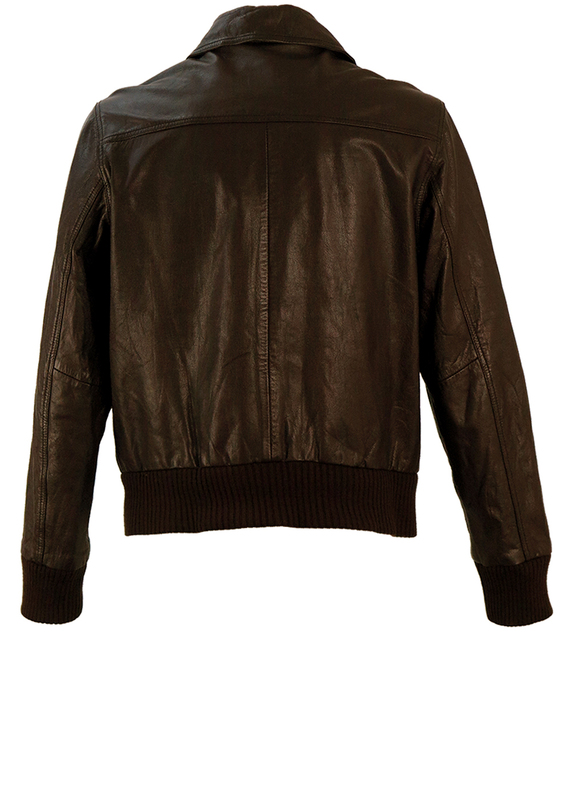 Please refer to our measurements for further sizing guidance.